In an effort to compliment Audi enthusiasts who appreciate a good stick shift and, obviously, ease the news that Audi won’t be offering the A4 and the A5 with the option of a manual transmission from the 2019 model year onwards, it’s said that the company will introduce the A4 Ultra Sport Edition. It is a limited-edition car only 40 of which will be produced and sold, presumably to Audi lovers. Despite the sad news of Audi discontinuing its offering of the manual on their popular models, the A4 Ultra Sport Edition is actually a fitting adieu to the stick shift. In order to make it as impressive as possible, Audi gave it a number of pieces to differentiate it from the rest of the lineup. An updated version of the Audi A4 sedan is making the test rounds in Germany, looking every bit like a model that’s on the receiving end of a few facelifts. The premium sedan is expected to be released a little earlier than expected as rumors continue to swirl around the current model’s sales struggles. 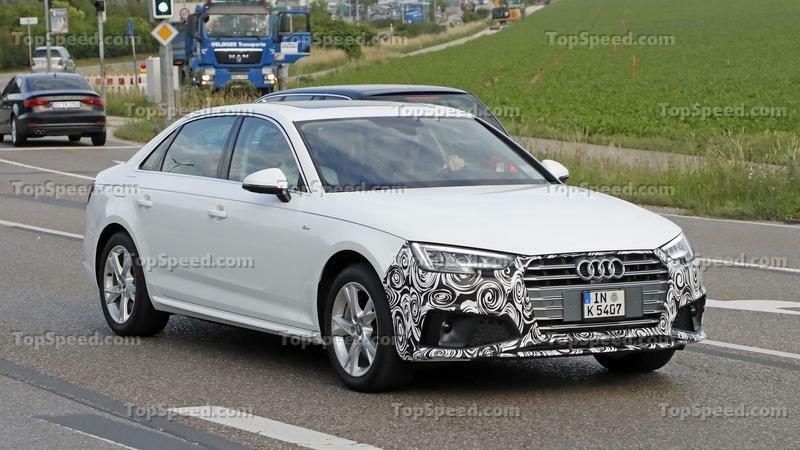 If true, we can expect the updated Audi A4 to get a quick turnaround date, possibly as soon as the latter part of the year or maybe in early 2019. The Audi A4 doesn’t get the same kind of adulation reserved for the R8 supercar or the attention that is normally commanded by the A6 and A7 luxury sedans. But ever since it first arrived in 1994, the A4 has earned the reputation of a model that brings out the Audi fan in a lot of people. It’s true that while it may the entry-level model in the German automaker’s premium lineup of sedans, the A4 has carved out an identity unique to its own. That identity is also why a tuner like ABT Sportsline has spent hours upon hours of its time building programs specifically for the A4. The tuner’s latest work also speaks to the versatility of the A4 as the kit comes with engine upgrade packages for two engine variants of the sedan, one for the 2.0-liter TFSI that nets 330 horsepower and another for the 3.0-liter TDI V-6 engine that results in 325 ponies. There’s not a lot of flash that went with the creation of this program. ABT Sportsline opted to keep it simple and effective and the results are what you see. Exterior upgrades are limited, although there are a couple of aero components that provide both cosmetic and handling improvements. A fresh new set of wheels also adds another layer to the A4, as does a suspension upgrade that ties everything together to create a more balanced ride for the sedan. It’s fitting that ABT Sportsline embarked on building this program as it celebrates its 120th anniversary this year. The A4 has, for a long time, been one of its most tuned models, and with the release of this new upgrade, it seems that the tuner’s old habits aren’t about to die down anytime soon. Continue after the jump for read the full review. B&B Automobiltechnik has just released a tuning program for the Audi A4 that is arguably one of the most comprehensive kits that the German tuner has created. Four engine options for the A4 and S4 have engine upgrades available, three of which come with three-stage kits with the other having two stages. That’s a lot of upgrades with the one for the S4 – an increase to 450 horsepower and 443 pound-feet of torque – representing the biggest improvement in power of the lot. But that’s not the full extent of B&B’s tuning program. The German tuner also got help from Belgian tuner Caractere, which provided an aerodynamic body kit to ensure that the A4 wasn’t left high and dry on that section. 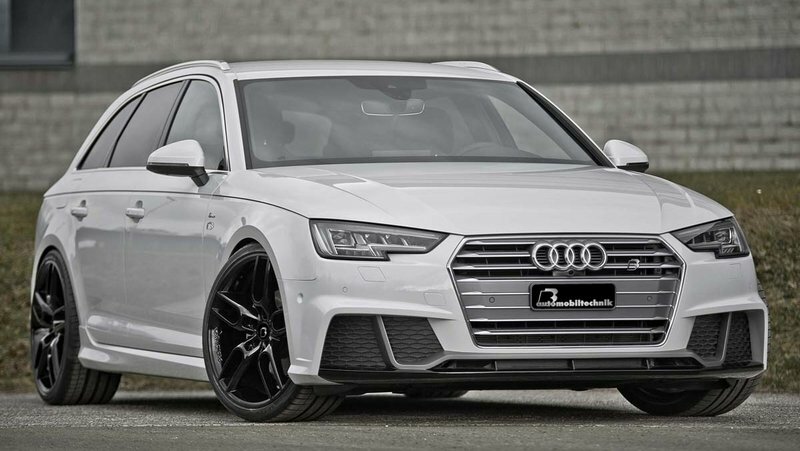 A new set of wheels are also being offered, as is a choice of chassis and suspension improvements, all of which combine to create a stellar package that owners of the A4 and S4 will surely appreciate. It’s rare that customers are given this kind of variety when it comes to the kind of upgrades they stand to receive from an aftermarket tuner. But B&B answered the bell on this one and as a result, would-be customers can literally have their pick on the kind of power they’d like to see from their A4 and S4 models. Continue after the jump tor head the full review. Cars have become status symbols for people of all cultures and backgrounds. Here in the U.S., driving something like a Mercedes C-Class puts you higher on the totem pole than someone driving, say, a Chevy Cruze, for instance. Over in China, on the other hand, important people don’t drive – they ride. And, that is exactly why there are so many weird long-wheelbase cars that have debuted at the Beijing Auto Show. If you stroll the show, you’ll find long-wheelbase variants of the Jaguar XF, Mercedes E-Class, and even the BMW X1 (crazy, right?). As odd as it may seem, it’s completely true, and that’s also why we’re looking at an updated, long-wheelbase version of the Audi A4. The whole idea behind something like a long-wheelbase A4 is that the rear passengers have more legroom and maybe some extra cargo room. And, that is exactly what makes up the Audi A4L. As you would expect, the A4L took on all of the updates that came with the standard, 2016 A4 and is even available with Audi’s virtual cockpit. The A4L is built primarily for the Chinese market, so don’t expect to see one in the U.S. anytime soon. So, with all of that said, let’s dive in and take a look at the new Audi A4L. 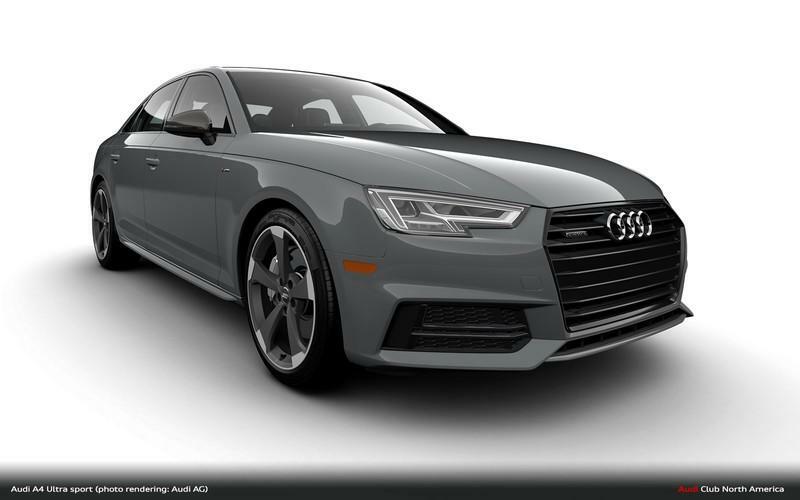 Continue reading to learn more about the Audi A4 L.
Overall, the A4 is easier than ever to buy and still brings one of the finest interiors in the entry luxury sport sedan segment. This year’s Premium Plus and Prestige models come standard with S-line body kits and a slightly revised front bumper that includes a darker shade for the single-frame grille and a reshaped diffuser piece out back. Despite the 2012 model year refresh to the headlights and taillights, the A4 is looking quite mature next to the brand new Mercedes-Benz CLA250, BMW 328i and Lexus IS250. The Audi A4 must also fend off a few credible domestic competitors for the first time, including the Cadillac ATS and the Buick Regal GS. Rumors are swirling about a refresh in 2014 or 2015. Even so, the current A4 is charged with defending Audi market share in this hyper-competitive luxury compact segment. 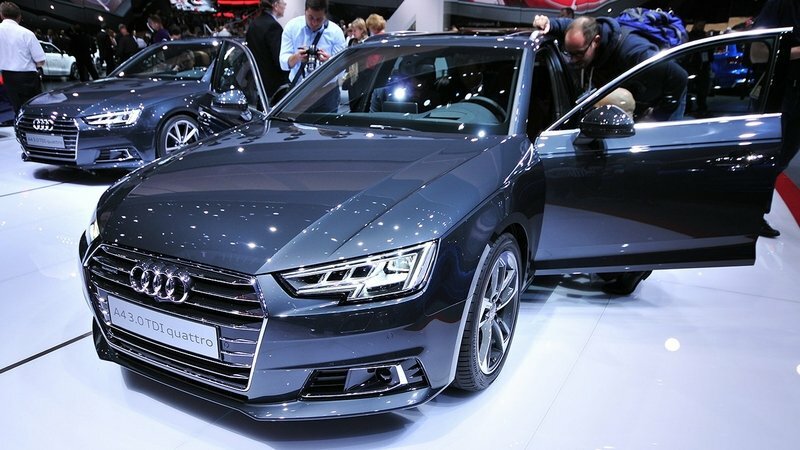 Updated 07/02/2014: Audi announced prices and some updates for the 2015 A4 which is now available at dealers. Updates for 2015 include a series of new exterior colors, some new packages and interior updates. 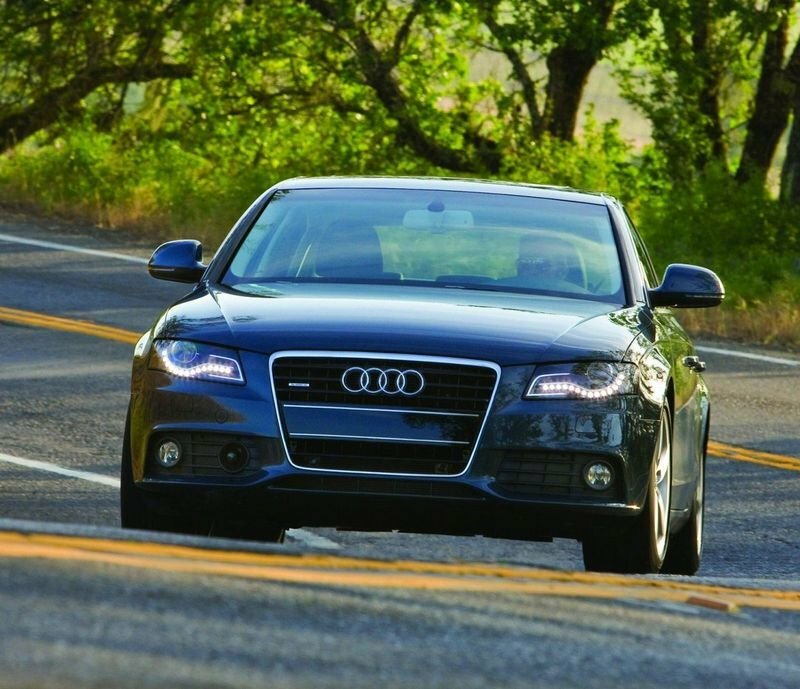 Click past the review for the full review of the 2014 Audi A4 with info on the new features and options. Audi’s rugged allroad wagon is back in America with some major changes, following a hiatus of the previous A6-based models. The new allroad is based on the latest A4, but shares a family appearance with the A6 allroad that will not be coming across the pond in its latest generation. The realignment of the allroad brand also includes dropping the A4/A6 badges from the official lower-case names. It is a tedious distinction but one also shared by the deliberately-lower-case quattro GMBH tuning division of the luxury automaker. 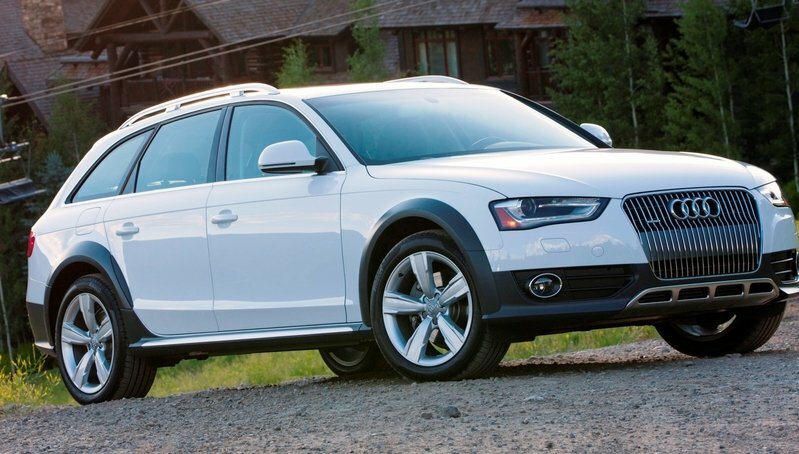 The latest allroad replaces the standard A4 Avant in U.S. price lists. Naming tweaks aside, the new model is quite handsome and packs a torque-rich turbo four-pot engine in place of the previous model’s 2.7-liter twin-turbo V-6 option. The latest allroad also loses a few features from the original model, namely the adjustable-height suspension that really increased the older model’s versatility but easily adds $5,000 to the build cost. When lowered, the old allroad had a more aggressive appearance than even the RS6 Avant due to its huge fender flares and flashy aluminum graphics front and rear. The only fly in the ointment was the two-tone bodywork that used unpainted grey plastic for the fenders and sills. The new Audi allroad goes a long way toward refining the style of the allroad. It offers a large, luxurious interior and some of the most sought-after tech solutions of any car on the market. The allroad was always a wagon for people who didn’t like following the normal SUV route. This continues with the latest model as it competes for consumer attention with Audi Q5 small SUV. Other thorns in its side include the GLK350 Mercedes-Benz and the BMW X3. What the allroad delivers is a far more car-like experience paired with light off-road capability. Is this butch wagon enough to lure drivers away from boxy small SUVs? Click past the jump for the full review of the 2013 Audi allroad including details on ordering a fully painted model with no grey plastic cladding. The most powerful model in the Audi A4 lineup comes equipped with a 3.0 TFSI engine that delivers a total of 272 horsepower. Pretty good, but what if the A4 could do better? 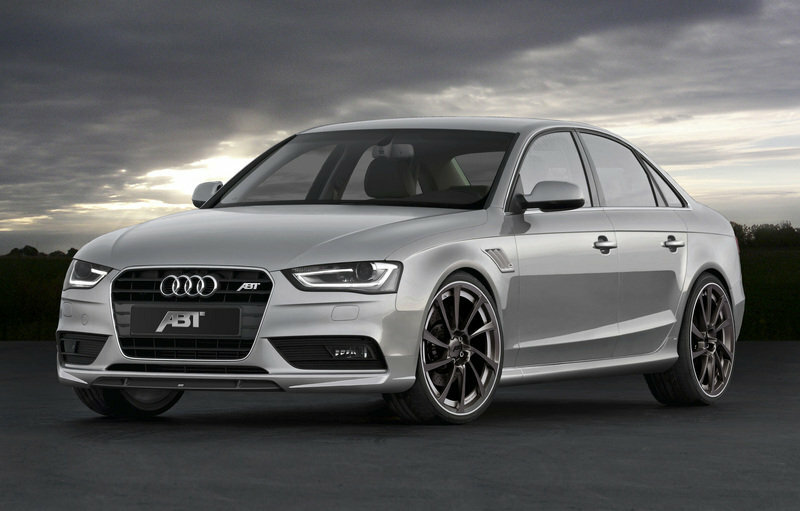 ABT Sportsline had this question in mind and developed its new AS4 package that takes the output to an amazing 380 horsepower, which is even more impressive than the 333 horsepower that the S4 delivers. Peak torque was also increased to 369 pound-feet, which represents an increase of 74 pound-feet. Customers interested can update any other version in the A4 lineup: the 1.8 engine can be increased to 211 horsepower and the 2.0 liter TFSI to 270 horsepower. If you drive a diesel car you can also opt for some improvements. The 2.0 TDI version can be tricked to deliver 205 horsepower and the 3.0 TDI 300 horsepower. 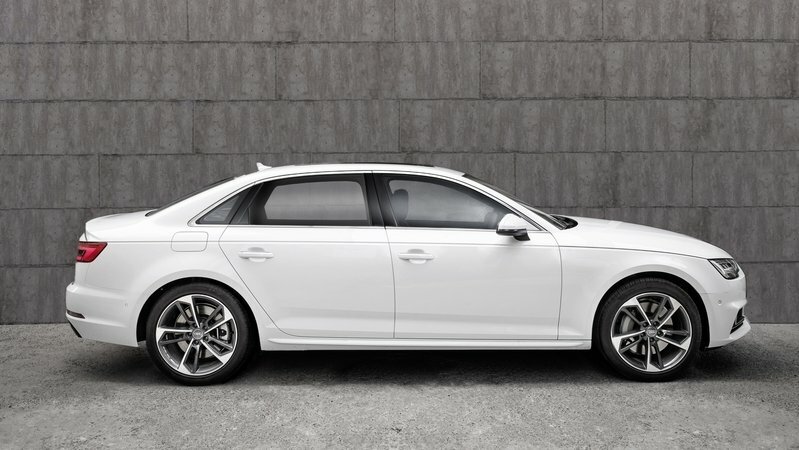 Click past the jump to read more about the Audi A4 by ABT Sportsline. 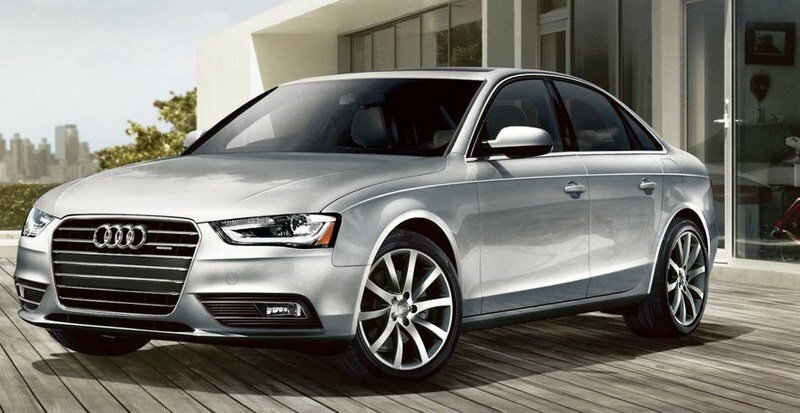 Audi will launch the next generation A4 in mid-2014 and it will be offered with a more dynamic design and improved technology. The body will remain pretty much unchanged, with updates that include a more prominent single-frame grille, new headlights and taillights, flared wheel arches and a more pronounced spoiler. The interior will also be improved to offer more interior room and will offer new technology features, like a heads-up display and an MMI Touch infotainment system also used in models like the recently announced A3. Under the hood, the next A4 will be offered with a wide choice of engines, including a new 1.4-liter TSI engine with an output of either 122 horsepower or 180 horsepower. This new engine will come with cylinder-deactivation technology that will reduce fuel consumption by about 0.5 liter/100km. The next Audi A4 could also be offered in a plug-in hybrid variant that will combine a 211 horsepower 2.0 TFSI engine with a 95-horsepower electric motor. This new version will deliver autonomy of 50 kilometers (31 miles) on pure electric mode. Update 12/28/12: This review has been updated with more specific information on the upcoming refreshed A4. ABT Sportsline first modified an Audi — the Audi 80 — over 40 years ago. 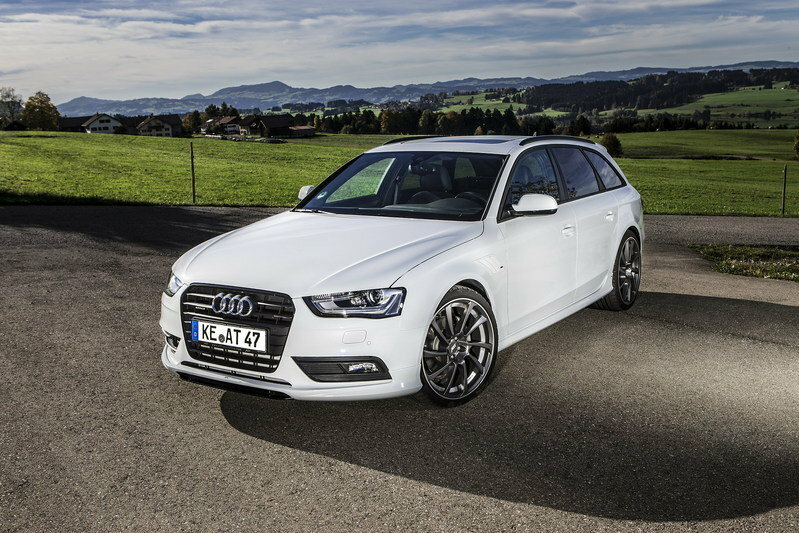 In celebration of this long tradition, the tuner has unveiled an AS4 package for the A4 sedan and station wagon. Customers can update any engine they want, starting with the 1.8 TFSI and up to the 3.0 TDI. Along with the engine updates, each car will be offered with a series of aerodynamic updates. Customers that prefer the petrol engines will have to choose between two updates. For the 1.8 TFSI engine, the output has been increased from the standard 170 horsepower up to 211 and for the 2.0 TFSI engine, this kit drives the power up to 270 horsepower (up from the standard 211 horsepower). The diesel lineup will also be offered with some pretty impressive updates. The 2.0-liter version will be increased to 205 horsepower and the 3.0 TDI will jump to 300 horsepower, which is a 55-horsepower increase over standard. As for the aerodynamic updates, the tuner is offering a new front spoiler, fender inserts, and side skirts. On the back end, the A4 gets a new spoiler, a skirt, and a four-pipe exhaust system. ABT will offer a choice of two wheels, sized 19 inches or 20 inches, which can be had in either a CR and DR design. As a final option, ABT is also offering new springs and an ABT coil-over suspension, which lower the car’s ride, giving it a sportier appearance and increasing cornering capabilities. 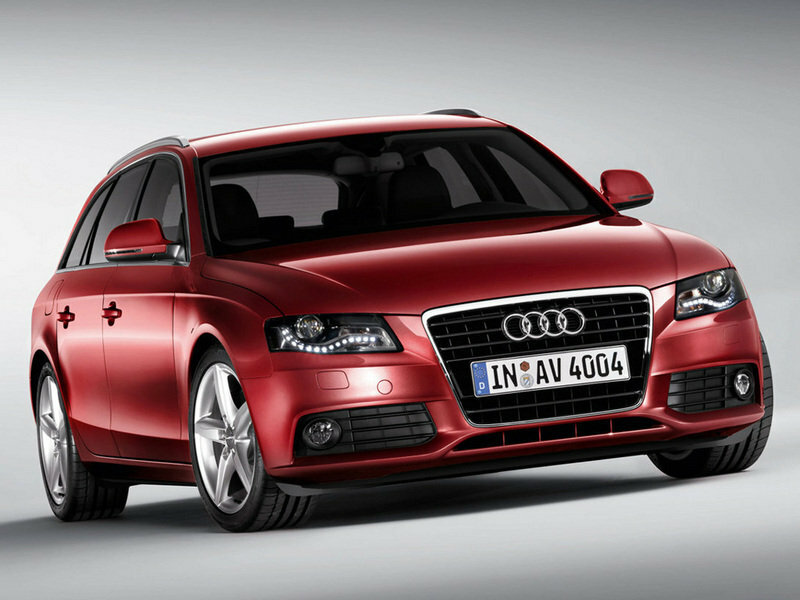 The facelift version of the Audi A4 is on sale in Europe and will go on sale in the USA in the summer of 2012. 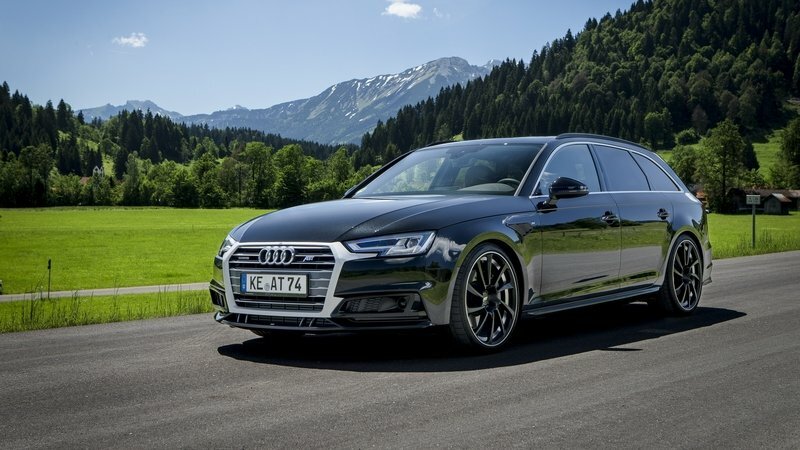 In this short time, the model has already received a number of significant upgrades, but German tuner, ABT Sportsline, is adding another one to the faster version of the A4, the S4. Their package, called the AS4, includes a series of exterior upgrades and some serious engine boosts to allow the A4 to excel. The exterior changes were made to improve the car’s aerodynamics and were kept to a minimum. These changes include a new air dam, new side sills and wing inserts, aerofoils, rear apron inserts, a two-pipe exhaust system, and, of course, a new set of alloy wheels. Under the hoods of the different versions of the A4, the most impressive changes were made for the S4. The Audi S4’s 3.0 L TFSI V6 engine was pumped up to 435 HP from the standard 333 HP. The top speed limiter has also been removed, providing the luxury sedan with a top speed of 175 mph, while the 0 to 60 mph sprint is made in 4.8 seconds. The 3.0 TDI engine has also been increased from 245 HP to 282 HP, while the tiny four-cylinder version, the 2.0 TFSI, goes from 211 HP to 275 HP. The history of the A4 started back in 1972 when the company penned it as the successor for the Audi 80. In October, the ten millionth midsize Audi rolled off the assembly line: a Misano Red Audi S4. That being said, even the most successful models need to be updated from time to time to keep up with the ever changing market. That time will be the 2013 model year for the A4. The updated model will get a new front fascia with a revised grille, restyled headlights, a modified hood, a new diffuser, revised taillights, and a dual exhaust system. Minor changes will also be made to the interior, along with a revised suspension and a new power steering system. As for the engine line-up, customers will have the option to choose between six TDI and four gasoline engines, with 23 possible engine-transmission combinations. 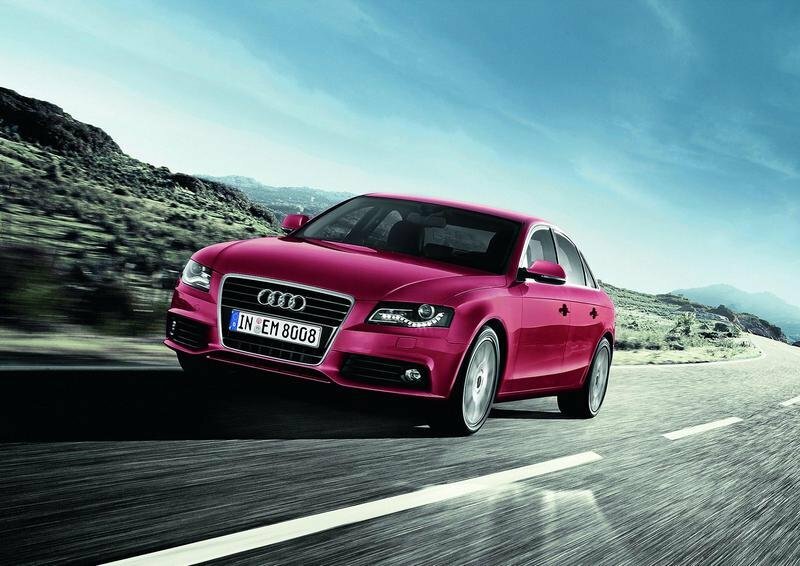 UPDATE 11/28/2011: Audi has unveiled the first promotional video for the new A4 facelift. Enjoy! 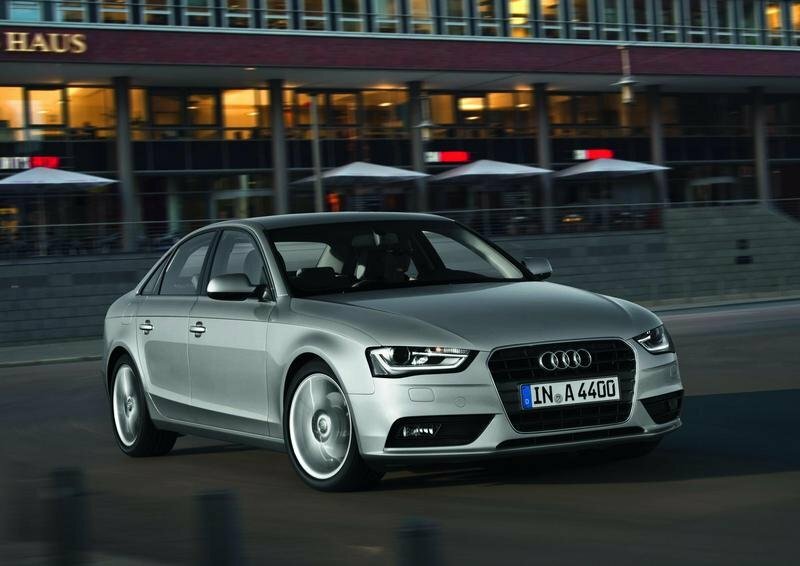 Hit the jump to read more about the Audi A4. Next to the facelift versions of the A4 and the S4, Audi has also unveiled the A4 Allroad Quattro version. Just like with the two other models the Allroad version has been improved in all its aspects and we have to admit it looks better than ever! 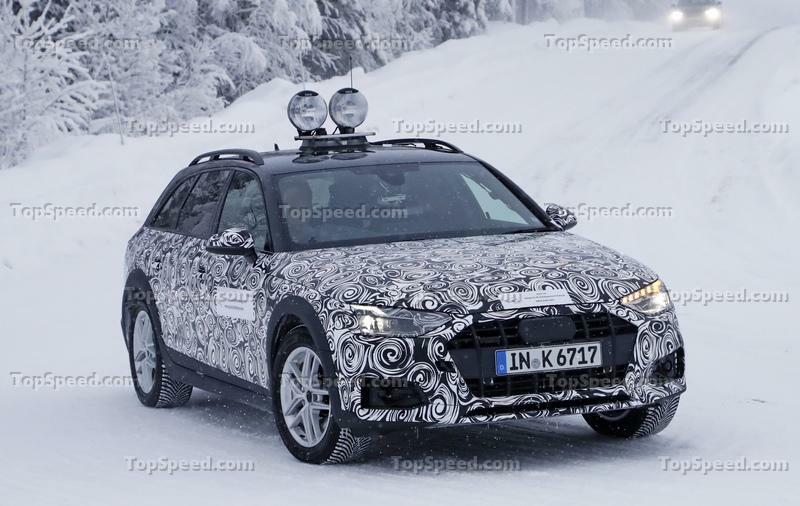 Just like with the standard models the A4 Allroad Quattro will receive a revised grille, restyled headlights and a modified hood, but it will be distinguished by its grille’s horizontal chrome applications and by the round fog lights. The car is 15.49 ft long and has a luggage compartment capacity of 50.50 cubic ft. The car will come with standard 18" wheels with four independent designs. 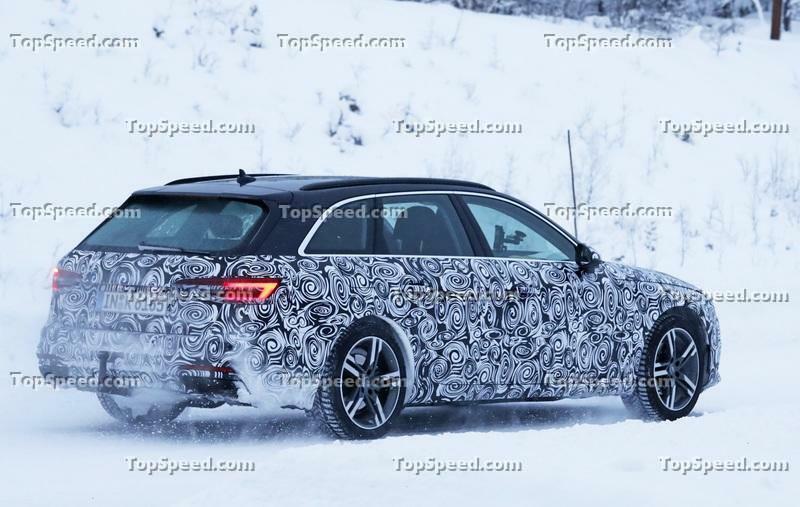 The A4 Allroad will generally be offered with the same engines as the standard A4, except with the entry level four-cylinder diesel (the 120 HP version) and the the 3.0 TDI engine. The model comes with standard quattro permanent all-wheel drive system and with either a manual transmission or a S tronic with all engine versions. And now the best part: the A4 Allroad Quattro will once again be offered on the US market. The model will go on sale in 2012 as a 2013 model. UPDATE 10/27/2011: This review has been updated with official images and details. After a 12 year hiatus from participating in the British Touring Car Championship (BTCC), Audi will be headed back to the racing series to try and regain the championship previously won in 1996. 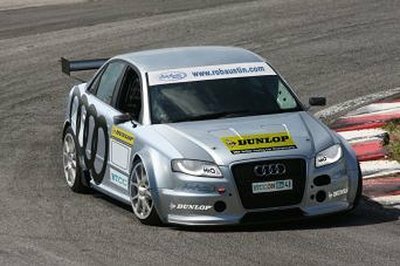 In 2011, the Audi name will once again be heard in the competition thanks to private race team, Rob Austin Racing, who will bring two Audi A4 models to compete with in the series. The Audi A4 models participating in the series will need to be refined in order to meet up with the new Next Generation Touring Car technical regulations. These regulations include the vehicle being capable of front- and rear-wheel drive as well have a ’300bhp+’ turbo-charged engine, but the most important aspect of the new regulations is the lowering of running costs for the teams while still maintaining the performance from the previous years. Currently, GPR Motorsport is working on the future racers, but Rob Austin Racing has provided the rendering above as a preview to the vehicles. The A4 BTCC will have strong competition next year as the Honda Racing Team (Honda Civic), Team Aon and Airwaves Racing (Ford Focus), Eurotech (Vauxhall Vectra, Special Tuning UK (SEAT Leon) and AmD Milltek Racing.com (VW Golf) have already announced they would be amping up their vehicles with the new regulations for the 2011 season. Audi launched the most fuel efficient A4 in the line-up: the A4 2.0 TDI e with a fuel consumption of 4.6 liters of diesel per 100 kilometers (51.13 miles per U.S. gallon) and CO2 emission of 119 g/km. The e version delivers 136 hp and can sprint from 0 to 62 mph in just 9.5 seconds and can hit a top speed of 133.59 mph. Sales will begin at a price of 30,800 euros. 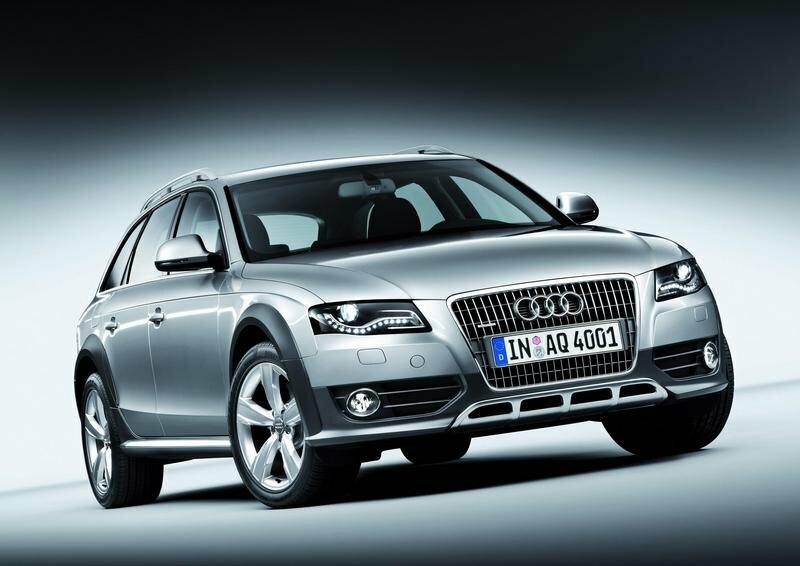 It’s a wagon...It’s an SUV...It’s the Audi A4 allroad quattro. Audi will officially unveil the A4 allroad quattro in March at the Geneva Motor Show, but it is already letting the details out. The car will go on sale in early summer at a base price of €37,100. That’s about $47,500 at current rates, but Audi has confirmed the A4 allroad will not make it to the U.S. Audi sold the original A6-based allroad North America, but it was pulled in 2006 due to weak sales. 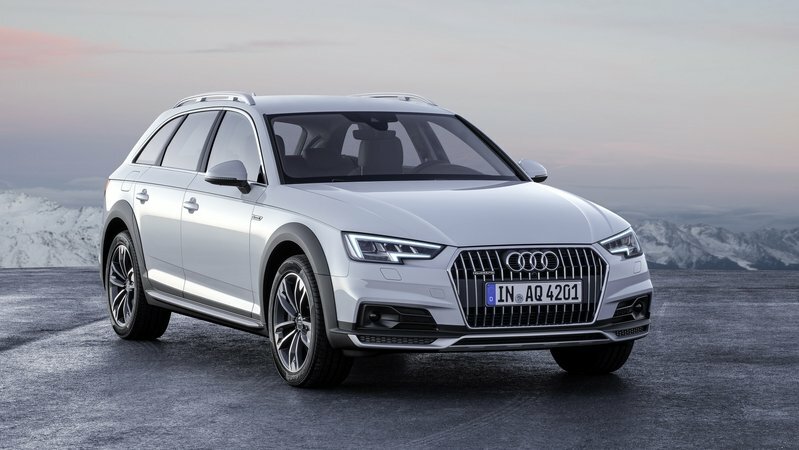 The A4 allroad quattro will be offered with a choice of three engines: 211 hp 2.0-liter TFSI, 170 hp 2.0-liter TDI diesel, and 240 hp 3.0-liter TDI diesel. These are available with either a six-speed manual transmission or dual-clutch S tronic transmission depending on engine choice. 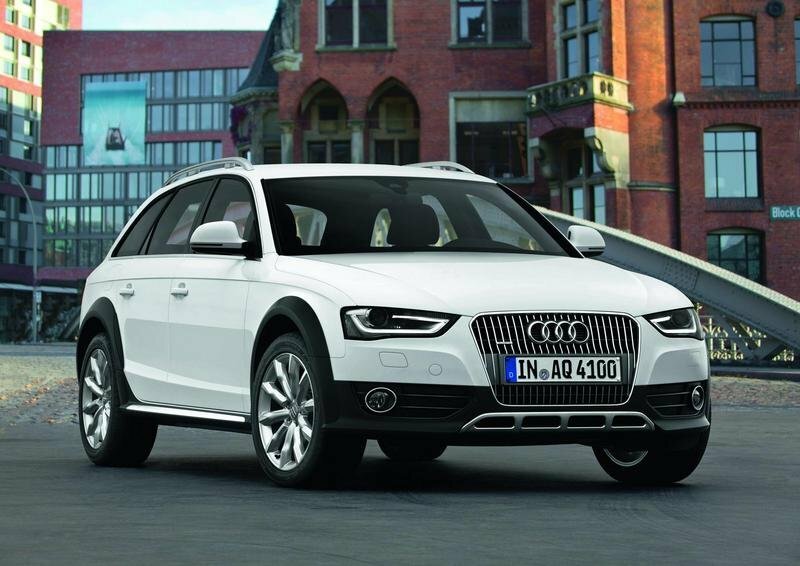 The A4 allroad shares a resemblance with the Audi A4 Avant on which the allroad is based. Some distinguishing elements include the higher ride height, wider stance (less than an inch more than the A4 Avant), and two-tone paint created by the body cladding. For lovers of crossover vehicles, the allroad is one of the first and best examples. It combines the car and SUV together in a package that’s more car (and thus, more fun) than almost anything else out there. Audi announced that the 2009 A4 line-up will be expanded with two new new models, one featuring front-wheel drive and one featuring a six-speed manual transmission. Both models will go on sale by early 2009 at a price of $31,000 for the Audi A4 2.0T FrontTrak sedan with multitronic CVT transmission and $31,850 for the 2009 Audi A4 2.0T quattro manual. The 2009 Audi A4 2.0T FrontTrak combines the advantages of the Audi 2.0 TFSI engine, which recently earned a spot on the 2009 Ward’s 10 Best Engines list, and the efficient multitronic continuously variable transmission, or CVT. The A4 sedan now available with a six-speed manual transmission, offers a sporty driving experience for those who prefer to shift for themselves. The manual transmission is also paired with Audi’s efficient 2.0 TFSI engine along with Audi’s latest generation of quattro all-wheel drive featuring a rear torque bias for sporty handling. 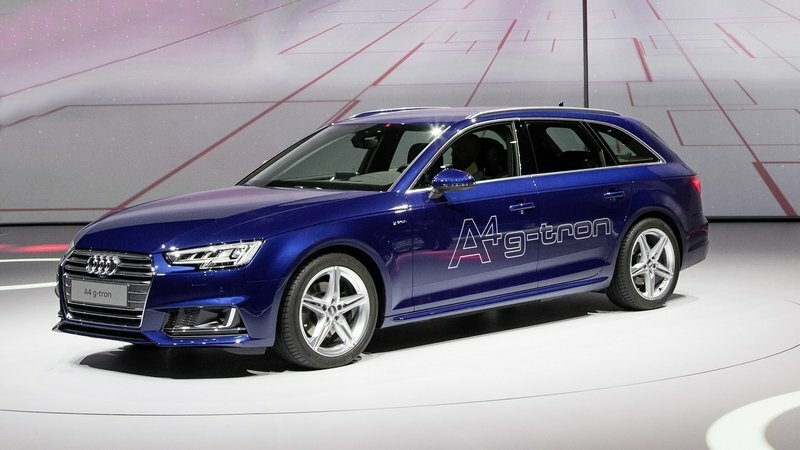 The result of the new front-wheel drive A4 powertrain combination is the best fuel efficiency in its class with an EPA rating of 23 mpg in city driving conditions and 30 mpg in highway driving.